Pinspire is a website that allows its users to collect and share images from the web. 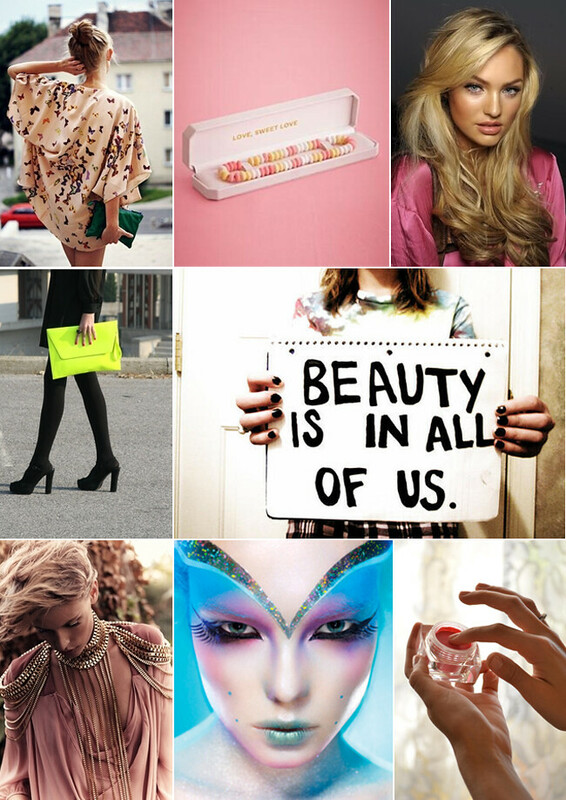 It’s a lot like weheartit but with the ability to create your own visual scrapbook for all the images you love. You can be really sociable on the site too, you can like and comment on a photograph and ‘pin’ it to your own mood board. It’s a great place to take inspiration! It’s free to sign up for Pinspire and anyone can be involved. I’ve been browsing the site for hours now and I have to say it’s pretty addictive! Pinspire are currently running a fabulous competition for all you lovely lot, (it’s pretty exclusive though as it’s only being featured on a few blogs) if you sign up to the website before the 1st of February you will be automatically be entered in a prize draw where you can win £200 in Selfridges vouchers. How amazing is that?! Why not create a mood board as a type of ‘wishlist’ just in case you’re the lucky winner? I think I’d have to put it towards a new hand bag or a one off jewellery piece. All you have to do is sign up to Pinspire and leave a comment on my blog with either your favourite profile or an image you’ve found whilst browsing. All comments will be passed on to Pinspire so leave a contact email in case you’re the lucky randomly picked winner. This competition is just being hosted on my blog and I have nothing to do with the winner being picked nor sending out the prize. Good luck everyone! I’m looking forward to reading your comments! I've been meaning to have a look as it looks so addictive!Will definitely take a look! I love Pinterest so I see no reason why I wouldn't love Pinspire too! This picture is just beautiful and romantic! loving the new neon for ss12! My fave picture is this one:http://www.pinspire.co.uk/pin/show/610816 I need this clock in my life, so cute!! Hiya, sounds great - lots of inspiring stuff on there! I love this picture: http://www.pinspire.co.uk/pin/show/653065 Lots of layers and textures. Thank you for hosting this competition! Pretty excited to have a new website to procrastinate on. Just pinned this: http://www.pinspire.co.uk/pin/show/774813 because it's pretty much the exact shade I want my hair to be! I love this image of different styles of eyeliner. eyeliner is my achilles heel so im going to study this and practice. Everybody is well aware of pinterest these days due to its image tagging feature and they can pin their favorite images via websites or upload their own. But considering privacy some of the organizations and business owners won’t allow the users to pin their website images to pinterest. This can be done by simply inserting the following meta tag between head tag section in the html page which aids to block the users not to pin the images present in the website.